A young lawyer was forced to have both her legs amputated after she awoke to find sores around her ankles crawling with maggots. Victoria Abbott-Fleming, now 40, had fallen down a set of stairs at work and thought she had suffered just bruising and cuts. But her leg became so infected that it swelled to triple in size, had weeping ulcers and smelled like ‘rotting meat’. Her condition deteriorated so badly that she woke one morning to find her wounds swarming with maggots. ‘I screamed the house down,’ she said. ‘There were thousands of them. I felt physically sick. I felt dirty, like I had rotting flesh. I wanted my leg off there and then. She said: ‘Anything that touched me felt like rubbing sandpaper on an open wound. By this point it was swelling so much it had split. At her lowest, desperate Victoria admitted she had even considered suicide. Eventually medics decided to amputate and by the end of 2006, aged 27, Victoria had her right leg removed below the knee. 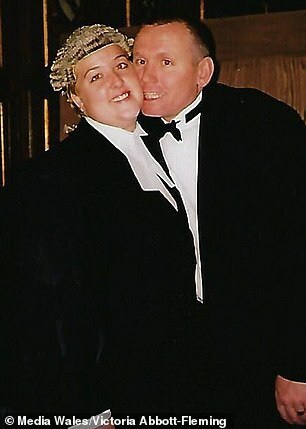 Victoria and her husband won a £2.1million pay-out from the college following the fall but said much of the cost had to go on medical care and converting their home. And her condition has also left her unable to have children because the medication she is on would have serious affects on a foetus. At 24, Victoria Abbott-Fleming’s life was perfect – she had just passed the bar exam and had landed a job working as head of law at a college. But little did she know a seemingly innocuous tumble was about to turn her world upside down – leaving her a double amputee taking more than 60 pills a day to numb a chronic pain condition. 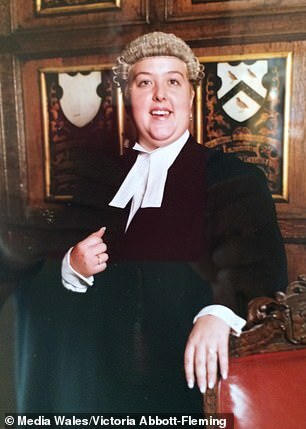 In 2003, she was called to the bar but decided to get a job lecturing A Level law at a further education college before starting her Pupilage – the practical training required before someone can begin practising as a barrister. Victoria, now 36, was walking down the concrete stairs at Cheadle and Marple Sixth Form College in Stockport when she slipped and fell. Initially more embarrassed than hurt, she suffered a minor cut and bruising – but when the young teacher tried to stand she realised her leg was injured. Helped to her car, she drove home. 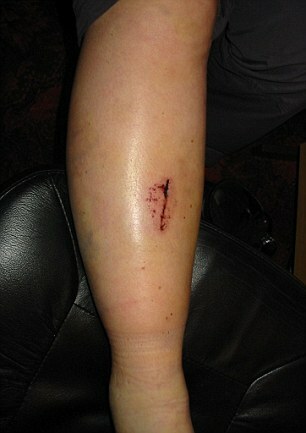 But alarmingly, within the three mile trip her leg had tripled in size, swelling so quickly it split the skin. Victoria was rushed to hospital where she was initially dismissed with anti-inflammatory drugs in what would be the first of months of misdiagnosis. In the meantime, she was suffering severe burning pain in her lower leg, and watched over the weeks as it changed colour from white to purple to black to bright red. She described the pain as ‘like thousands of ice picks being pushed into the bone and skin’. Eventually, in April 2004, Victoria was sent to a pain clinic which diagnosed her with Complex Regional Pain Syndrome (CRPS) – a severe and debilitating chronic pain condition which is usually triggered by an injury. In severe cases it can cause atrophy in the affected limb as the skin, tissues, and bone waste away, leading to infection and even amputation. 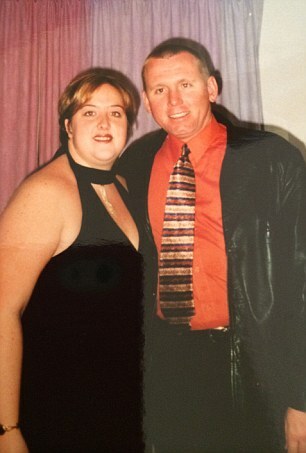 Victoria said she tried every tried every treatment possible, from chilli based cream, permanent epidural, opiates and Ketamine to counselling and psychologists – yet nothing worked. She also feared the condition would be the end of her relationship. In the meantime, her leg worsened. The swelling and open ulcers from her knee to her toes forced her to start using a wheelchair but the agony of the condition gave her little respite. 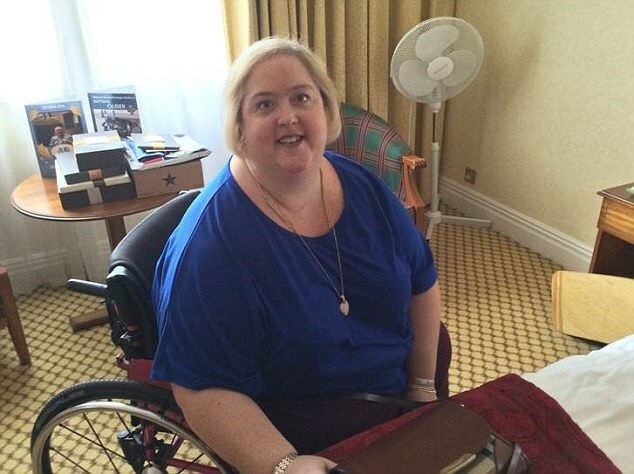 ‘I couldn’t have anything touching my leg not only because of the hypersensitivity but also the clothes would stick to my open ulcers and then I would have to try and prise the cloth off my leg,’ she said. ‘These were the worst moments of my life and I will never ever forget them as long as I live. 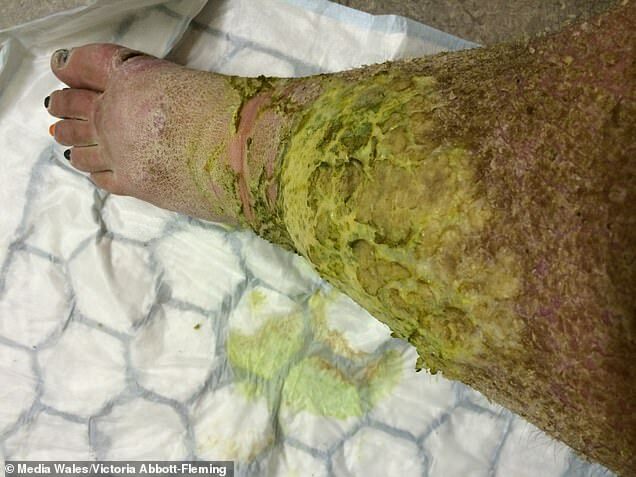 Despite doctors’ attempts to save her leg, the skin began breaking down with Victoria describing it as ‘elephant’s skin’. 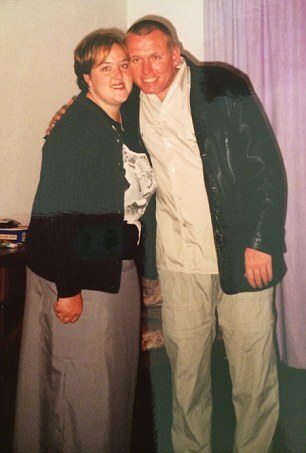 But things hit rock bottom in 2006 when, at 26, shoe woke to find her leg was maggot infested. She told Wales Online: ‘You automatically assume that maggots mean dirt so I felt incredibly dirty,” she said. Tragically, while Victoria and her husband hoped the agony would be over, it was only just beginning. 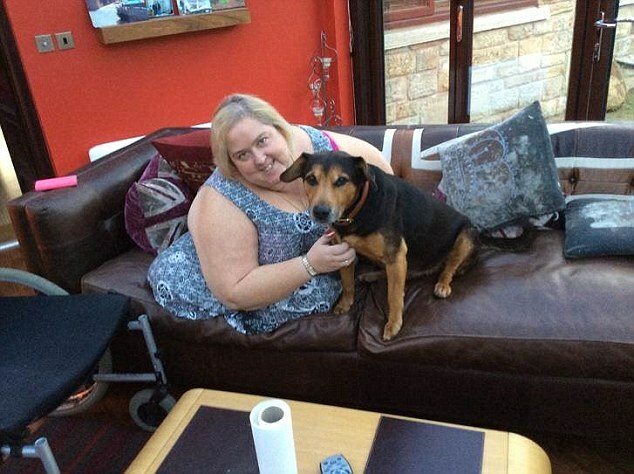 The CRPS sufferer woke after the operation in extreme pain. Sadly the pain wasn’t gone and within a year, Victoria would need to amputate another four inches from her leg – above the knee – after it became infected. It took a total of 18 months to heal while the pain continues through to today. 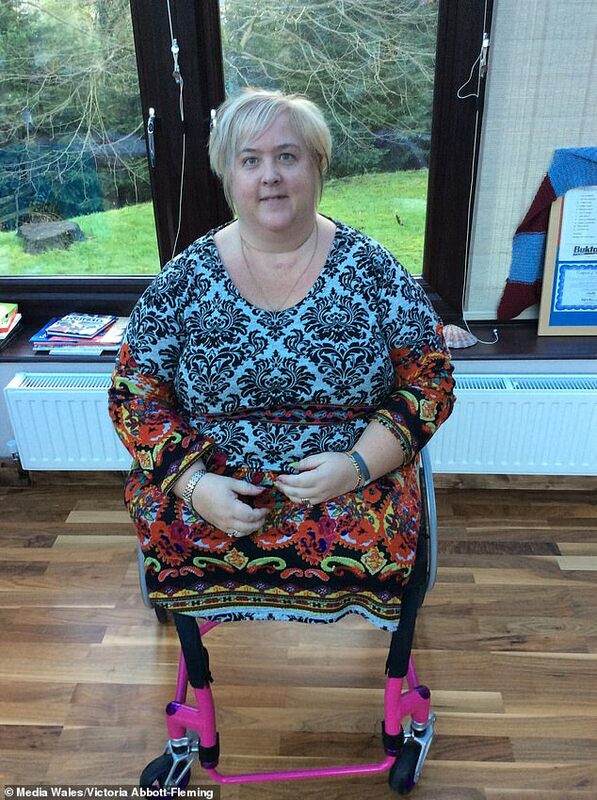 The daily agony meant a prosthetic limb was impossible as she wasn’t able to put any weight on her stump. Not only was she in severe pain, but her repressed respiratory and immune systems left her vulnerable and she repeatedly caught bouts of pneumonia. After so many difficult years, she and her husband decided to go away for Christmas in New York in 2013. Sadly, the trip was cut short when Victoria contracted life-threatening swine flu and had to be rushed into hospital. 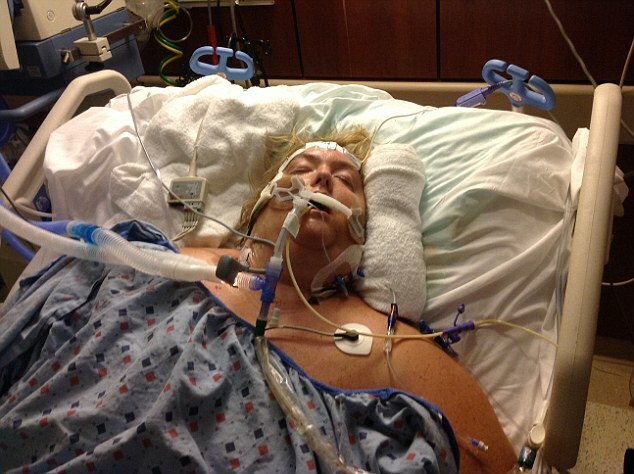 Her condition was so serious her lungs collapsed and doctors were forced to put her into an induced coma. She also required a tracheotomy to help with her breathing while she was air lifted back to the UK. With less than 20 per cent chance of survival, Victoria pulled through only to find that the symptoms of CRPS had now begun in her left foot. ‘The doctors all said that the CRPS in my right stump should not go into my left leg; however this was wrong. ‘I had excruciating, burning pain 24 hours a day seven days a week – as if my leg and foot was put in an acid bath. The temperature on my leg on one day was measured at 18c and it was freezing cold to the touch with a purple and black mottled skin colouring. On December 15 – two days before her birthday – Victoria went in for surgery to have her second leg amputated. However, it remains far from the end of her ordeal. 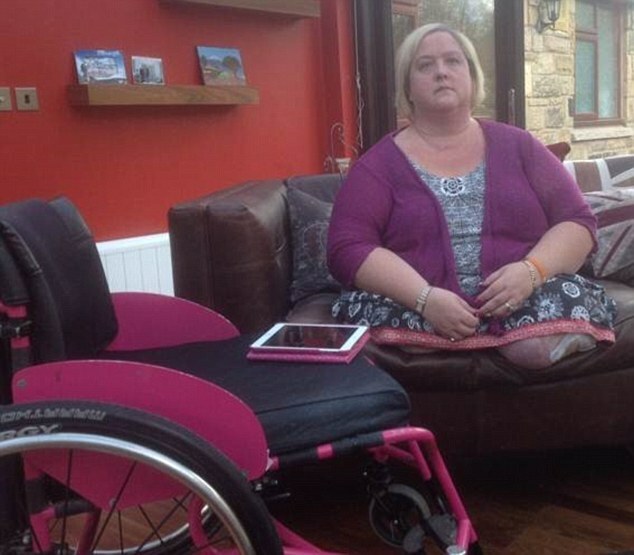 She now survives on 66 tablets everyday to get through the pain. Victoria has now written a book on the three-year ordeal – a tale of caution but above all, a triumph of the human spirit in the most testing circumstances. The main symptom of complex regional pain syndrome (CRPS) is severe, continuous and debilitating pain. It is usually confined to one limb, but can spread to other parts of the body in some cases. The pain associated with CRPS is usually triggered by an injury, but is a lot more severe and long-lasting than you would normally expect – and is often completely disproportionate to the original injury suffered. The pain is usually burning, stabbing or stinging, but there may also be a tingling sensation and numbness. You may have periods of pain lasting a few days or weeks, called flare-ups, where the discomfort gets worse. Stress in particular can lead to flare-ups, which is why relaxation techniques are an important part oftreating CRPS. If you have CRPS, your skin in the affected area can become very sensitive, and even the slightest touch, bump or change in temperature can provoke intense pain.